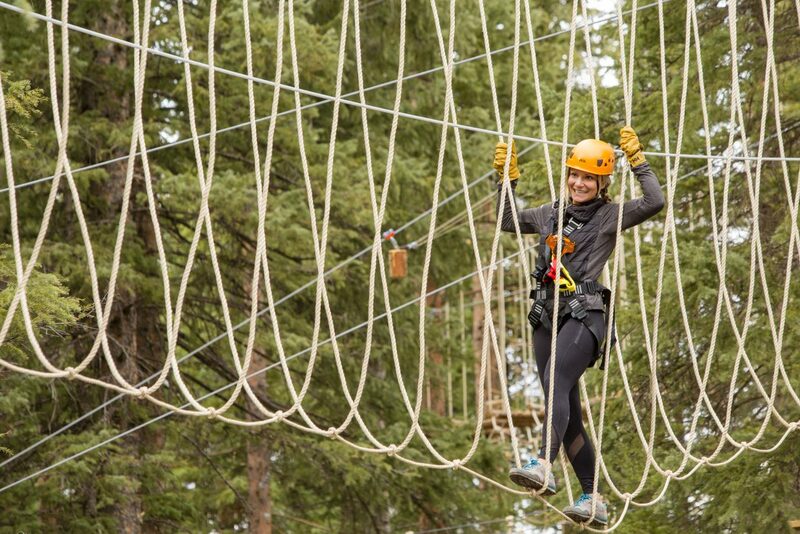 Get your lungs and your heart pumping with road rides at Aspen’s elevated altitude. Though the elevation will always add a challenge, the area offers rides at a variety of levels. No matter where you go, though, you’re sure to be surrounded by stunning scenery. Don’t forget your camera! Getting there: From Aspen, continue through town by heading east on Main Street. Remaining on CO-82 will quickly take you to Independence Pass. Trail Talk: The pass closes for the winter, typically November to May, so make the most of it during the warmer months. Getting there: From the Aspen roundabout, turn onto Castle Creek Road. This will take you directly to Ashcroft. Trail Talk: This ride ends at Ashcroft ghost town, which is on the National Register of Historic Places. Admission is $3, and dogs are not allowed. The Dirt: You’ll climb about 1,800 feet over the course of this ride, which runs alongside the road’s namesake creek. If you’d like to continue past Ashcroft, you’ll find even more stunning views as you approach Taylor Pass. This ride is especially beautiful during the fall, as the leaves begin to turn color. 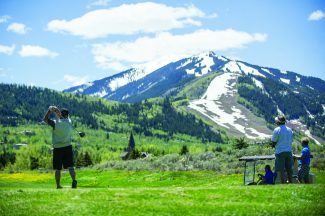 Getting there: From the Aspen roundabout, take the Maroon Creek Road exit. Parking is available at Aspen Highlands ski area. Trail Talk: This pair of mountains are the most photographed in the country, and it’s easy to see why. Immerse yourself in the scenery by taking it in on two wheels. 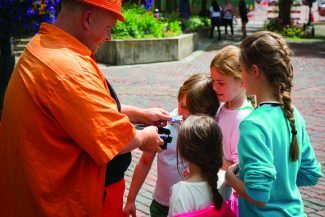 The Dirt: If the uphill ride is too much, hitch a ride to the top of the climb with Blazing Adventures shuttle service. The ride back downhill will be a breeze. Getting there: From the Aspen roundabout, take CO-82 west for 1.4 miles, then turn left onto Owl Creek Road. You’ll stay on it for 6 miles, and it turns into Brush Creek Road. At the next traffic circle, take the third exit onto Wood Road. There’s plenty of parking around Snowmass Village. Alternatively, take the bus from anywhere in the Roaring Fork Valley. Trail Talk: These trails are friendly for beginner to intermediate riders, and they still offer much of the beauty you expect on Aspen’s more iconic rides. The Dirt: This loop provides some challenge thanks to its combination of downhill and uphill. You’ll climb 1,251 feet, with 1,424 feet of descent. Starting and finishing in Snowmass Village makes this accessible and perfectly positions you to take in the restaurant scene after the ride. The Dirt: This trail is one of Aspen’s easier rides. But don’t let that fool you; there’s still a fair amount of climbing, with 398 feet of ascent and 764 feet of descent if you ride in the suggested direction. 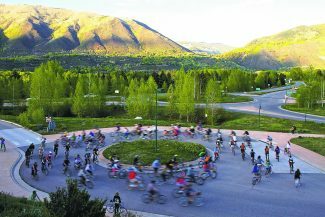 Begin in Snowmass Village and end near Buttermilk Ski Area. There are also offshoot trails along the way. The Dirt: Switch bikes and this route with some of the mountain biking trails, such as Rim Trail, Highline Trail and Tom Blake, for even more adventure. 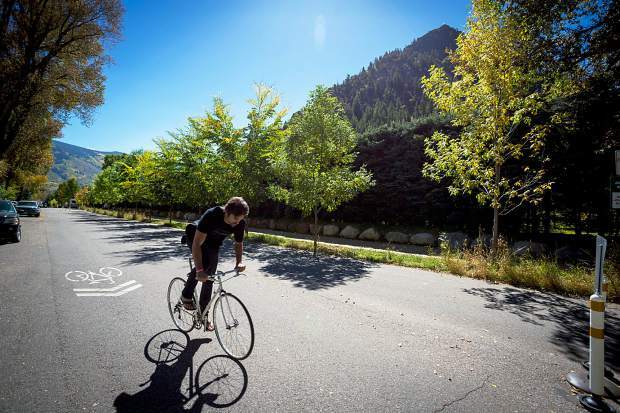 The Owl Creek Trail is one of Aspen’s easier rides. But don’t let that fool you; there’s still a fair amount of climbing.